How many airports are there in London, UK? The first name that springs to mind when we think about London airports is probably Heathrow, the major air hub in the UK that sees the arrival and departure of travellers from the six continents every day, and serves as home away from home to many of them who need to make a stopover in its terminals before resuming their journey. If you travel frequently to the capital of the United Kingdom, though, chances are that you have also passed through Gatwick or Luton, and if flying low-cost is your most common preference, Stansted is undoubtedly your gateway into the city. But there are still other lesser-known airports like London City –actually the one that lies closest to the centre– and Southend, which might as well be an option when you plan a trip to England. Therefore, aside from other minor airports in London and its surrounding areas that handle private and chartered operations, it is safe to say that London has six international airports as stated above. Information regarding the distance to be covered from the passenger terminals to the city centre, the public transport options available, the airlines flying to each hub, the presence of nearby hotels and even the quality of the WiFi network may help you decide which airport in London suits your travel needs best. Continue reading below to find out more. Distance from the city centre: 26 kilometres. Best transport options available: Heathrow Express is a fast and direct train service operating from the four Heathrow airport terminals that are currently in operation towards Paddington station; the first train departs at 5:10 and the last one shortly after 23:00. 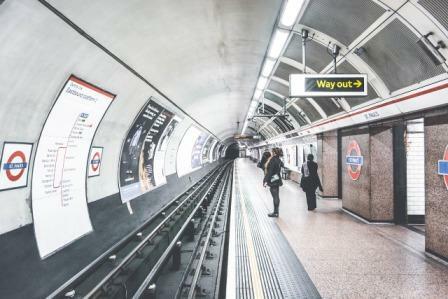 Alternatively, many travellers choose to use the Picadilly tube line covering the distance between the passenger terminals and various main tube stations in London, thus paying a lower ticket fare but taking longer to get to the city centre. Main airlines flying to LHR: British Airways and its codesharing partners of the OneWorld aviation alliance, StarAlliance member airlines and many other international carriers fly to the four terminals of Heathrow airport in London. Airport WiFi: Arriving and departing passengers may use the free Heathrow WiFi network during their stay in the airport after a quick registration, while they also have the option to pay for a premium membership for higher speed. Nearby hotels: During long layovers and in the case of having to stay overnight in Heathrow, know that worldwide renowned hotel chains such as Sofitel, Hilton and Yotelair have properties inside the facilities of the airport. Additionally, many other accommodation options stand close to the terminals like the Atrium, the Ibis Style London Heathrow and the Leonardo hotel. Distance from the city centre: 45 kilometres. Best transport options available: Every 15 minutes, a Gatwick Express train departs transporting arriving passengers to the central Victoria Coach Station in London; this service takes only 30 minutes. If you would rather get to London city centre through St Pancras International because it is closer to your accommodation, take a Thameslink train after collecting your baggage. Main airlines flying to LGW: Gatwick is a main base for EasyJet flights to London, as well as for Thomas Cook and TUIfly, Norwegian Air Shuttle and Virgin Atlantic. Airport WiFi: While they are at Gatwick airport, travellers can use their email to log into a secured WiFi session that lasts 90 minutes. Nearby hotels: Should you need to stay in a hotel in London Gatwick to ensure you do not miss an early morning flight, we recommend the Bloc hotel, the Sofitel or the Yotelair properties inside its premises. Distance from the city centre: 55 kilometres. Best transport options available: Several railway companies operate services between London Luton and St Pancras International, although many travellers prefer to cover the distance by bus or coach with reputed transport companies like National Express, even when this second option takes a bit longer. Main airlines flying to LTN: London Luton has long been known as a hub for low-cost carriers. Thus, airline companies like EasyJet, Ryanair, Vueling and WizzAir operate scheduled routes from destinations in Europe to London all year round. Airport WiFi: Complimentary WiFi access is available to all passengers at Luton during four hours; when this time period expires, they are given the opportunity to use their PayPal account or credit card to purchase more time online. Nearby hotels: An array of budget, good-value-for-money accommodation options stand close to the terminal. By way of example, some of the most popular hotels near Luton airport in London include establishments by Ibis Budget, Holiday Inn Express and Premier Inn. Distance from the city centre: 63 kilometres. Best transport options available: While regular Stansted Express trains take passengers straight to Liverpool station in central London, other not-so-fast yet cheaper transport alternatives after landing include bus services to London Liverpool, Victoria Station and King’s Cross that are operated 24/7. Main airlines flying to STN: Even when Stansted airport is popular as a base for Ryanair, LoganAir, WoWAir and Eurowings flights originating in a long list of European airports, it also handles operations to and from other world cities thanks to major airlines such as Emirates, British Airways and Wideroe. Airport WiFi: Wireless internet in London Stansted airport is free for the first four hours of use. After that, you can pay a nominal fee to get extra connection time on your smartphone or device. Nearby hotels: If you are looking for a hotel close to Stansted, we recommend you consider staying at the Days Inn, the Novotel, the Ramada or the Travelodge properties within easy reach of the terminal. Distance from the city centre: 14 kilometres. Best transport options available: Being the closest airport to central London, arriving travellers can easily commute from the terminal to the financial district in a light rail train towards the Bank and Monuments tube station, where they can change to the London tube if necessary. Main airlines flying to LCY: This airport is a hub for British Airways and Flybe and is primarily dedicated to operations within the UK and Ireland, although flights to and from destinations overseas –namely Lisbon, Zürich, Geneva and Amsterdam, among others- are also handled. Airport WiFi: While you are in London City airport, you can use free WiFi for 15 minutes without registering, and without limits after a quick registration process. Nearby hotels: Since it is conveniently located near the city, should you need accommodation close to LCY, you are advised to choose a London hotel according to your personal preferences and travel budget. Distance from the city centre: 64 kilometres. Best transport options available: Regular trains depart the airport railway station transporting passengers to either London Liverpool or Stratford station in less than one hour. Buses and taxi cabs are also available outside the terminal; in the case of taxi rides, a shared transfer option is offered so that arriving passengers can pay a reduced flat fare when travelling with at least other three people in the same car. Main airlines flying to SEN: The main airlines serving London via Southend airport are Easyjet, which connects the city to many holiday destinations and cities across Europe, and Aer Lingus, providing a direct link to Ireland and the USA by air from this airport in London. Airport WiFi: Free unlimited Wifi in Southend airport is available and it only requires a simple registration process. Nearby hotels: There is a Holiday Inn hotel inside the facilities of Southend airport in London, yet you can book your stay in a variety of hospitality establishments close to its terminal that include guest houses and bed and breakfast accommodation.